In this discussion section, I provide a commentary on the five preceding chapters in this volume. 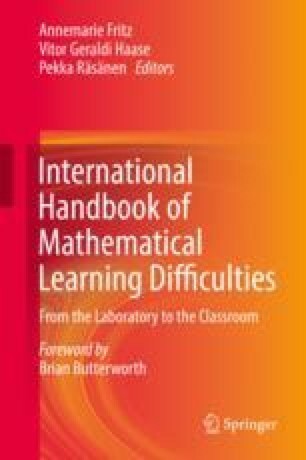 I discuss what is, from my own perspective, the state of the art of our understanding of the development of numerical understanding and mathematical disabilities. I raise a number of questions regarding the evidence and theories that are being presented in this volume and discuss future directions. By doing so, I highlight what are, in my view, pressing outstanding issues and pathways to progress in both our understanding of the development of numerical and mathematical abilities and the interaction between research and educational practice.